The Latest in Celebrity News, Red Carpet Moments, Viral Videos and Breaking Celeb Rumors! : That Favorite clothing:The Rihanna Edition! That Favorite clothing:The Rihanna Edition! Everyone has that particular clothing whether a t shirt,a coat or even a pair of jeans that he or she loves wearing always...Well,celebs have them too!This week we are focusing on Pop rebel Rihanna!Read more for more info! Singer Rihanna sure loves her camouflage coat!She has been spotted in it on several occasions! Rihanna wears the coat over an all black outfit! The camou coat protects her on a rainy day! 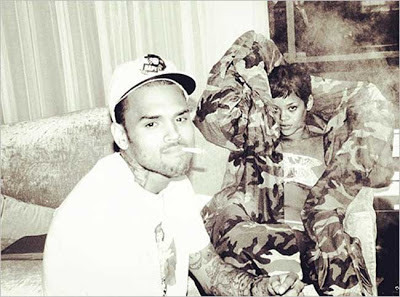 Rihanna gets booed up with Chris Brown in the coat! Rihanna is spotted leaving the studio in her coat. Now that question is what is your favorite clothing? Please Tell me in the comments! And make sure you come BACK to this blog because the next edition will be as equally as epic! Click here to check out the previous edition!